There are two emails sent when a order is successfully booked. The first email is sent to the customer when an order is booked. The second email is to the merchant (account owner and the assigned team member) when an order is booked. The order confirmation email is sent to the business owner from the “no-reply@occsn.com” email address and the sender name is “Occasion”. The order confirmation email is sent to the customer from the “no-reply@occsn.com” email address and the sender name is the name of the venue (“venue_name”). A custom copy can be added to each event individually. After logging into your account, click on “Manage” in the top left Menu and from the drop-down select Listings. Click “Edit Listing” on the particular listing for which you wish to add a custom Order Confirmation Email message. Click on the "Email Receipts" tab to adjust the sender name, subject line, and the contents of the message. If you prefer not to have any messaging, delete any content that is already in the "Message" text box. Emails associated with orders (bookings) are sent to the following individuals. 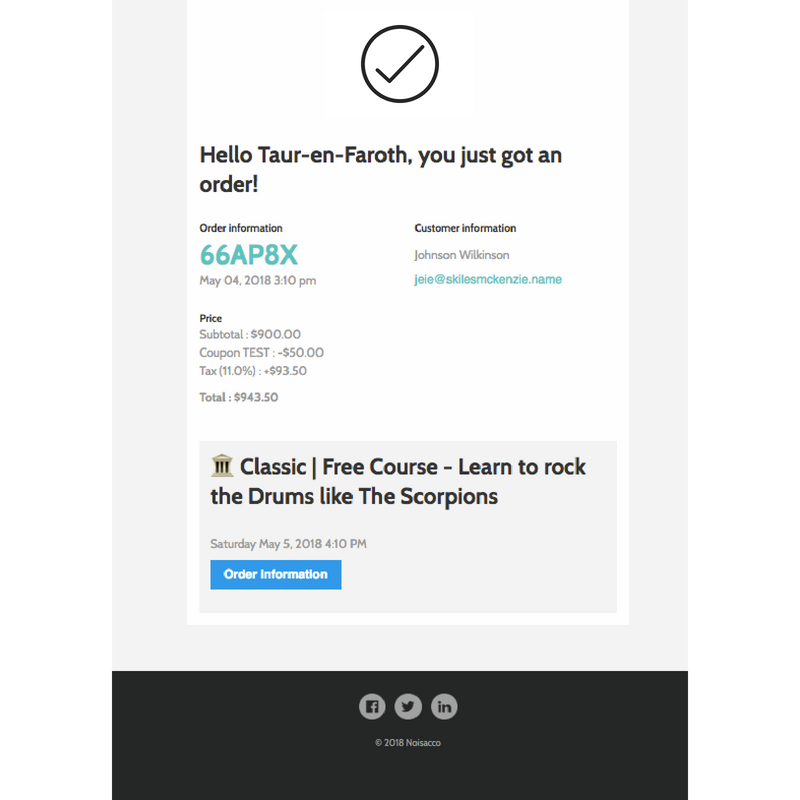 Here's how you can assign a new team member to receive order confirmation emails. After you have added a team member to your account, make sure to assign them permissions to receive email confirmations for orders on listings. The invited team member will receive an email, asking them to confirm their email address. Once they confirm their email, they will be added to your team and will start receiving Order Confirmation Emails. After logging into your account, click on “Orders” in the top menu navigation, or click on "Looking up an Order" from the middle of the dashboard page. Find the order for which you wish to re-send the Order Confirmation Email. On the left, click "Edit Order" to view order details. Click “Resend Email Confirmation” on the top-right. This will send the updated order confirmation to the customer via email. Left-click and hold on the email to drag it from the Promotions tab over to the Primary tab. Release the mouse to drop the email into the newly selected tab. Confirm with Gmail that you want to make this change permanent.